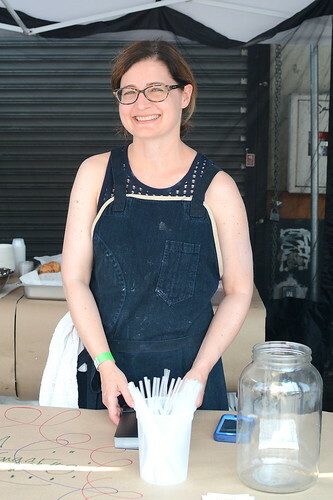 I was beyond thrilled to stumble upon Good Gravy Bakes at Smorgasburg on a recent Sunday morning. Super-talent Beth Kellerhals is baking up sky-high Southern biscuits, and they are swoon-inducing. 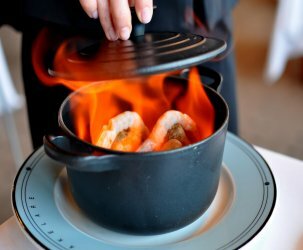 I’ve been a tremendous fan of Beth’s creations ever since her days dreaming up wildly creative desserts for Chef Roy Choi’s restaurants (see: Kogi, A-Frame, and Sunny Spot). This gal knows her way around flour, sugar, and butter. 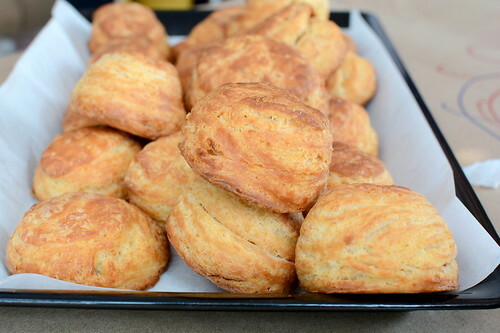 All of Good Gravy Bakes’ wares begin with the same classic biscuit. Tall, flaky, and tender—it’s the platonic ideal. 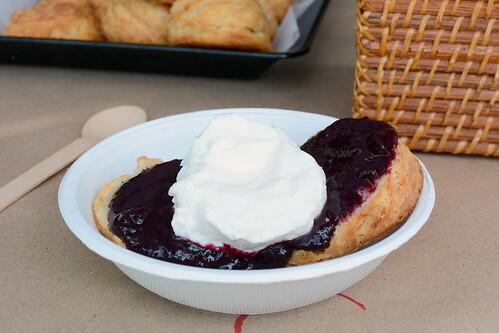 Our first biscuit came slathered with house-made blueberry lavender jam and a dollop of basil whipped cream ($5). We initially weren’t sure quite how to dive in, but quickly figured out that head first with abandon was the only way to go. 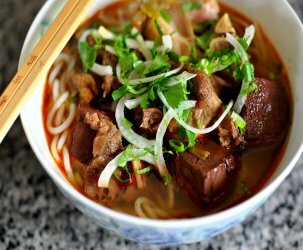 Sweet and rich, yet light and satisfying, this was a breakfast the entire family could get behind. 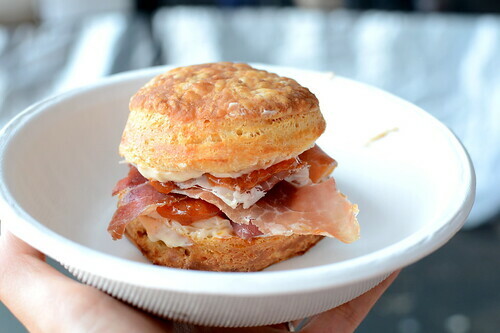 Our second biscuit was equal parts sweet and savory: peach butter with peach jam and thin slices of salty prosciutto. 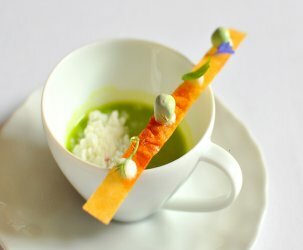 The combination of flavors and textures was totally unexpected and wholly delightful.